Spanning 13.2 million acres, Wrangell-St. Elias National Park and Preserve is the largest national park in the United States, so large that it's roughly the same size as the next two biggest national parks combined (Denali and Gates of the Arctic, both also in Alaska). It's difficult not to talk about the area in superlatives, as that sheer amount of acreage contains a lot: four major mountain ranges; the second- and third-highest peaks on the continent; nine of the 16 highest peaks in the U.S.; incredibly diverse wildlife; and the nation's largest glacial system. That vast area is rife with opportunities to play — from backpacking, fishing and camping to rafting, hiking and climbing — and see the wilderness in all its glory. Only two roads, both dirt, lead into the park: McCarthy Road and Nabesna Road. Of the two, the 60-mile long McCarthy Road is the one more traveled. You'll know when the Edgerton Highway merges with McCarthy Road in Chitina because it will go from pavement to dirt road atop what was once a railroad track. It's a slow trek, with blind corners and potholes, but the scenery makes up for it: spectacular views of distant mountains, the Copper River raging below and the impressive Kuskulana River Bridge, which spans a vertigo-inducing gorge. You can't actually drive into McCarthy — the road ends at the Kennicott River. From there, you cross the river on a footbridge and can either shuttle or walk the half mile to McCarthy or 4.5 miles to Kennicott. You can also fly in. Copper Valley Air offers bi-weekly flights from Anchorage and Gulkana to McCarthy (907-822-4200). Wrangell Mountain Air does three daily flights from Chitina into the park (800-478-1160). 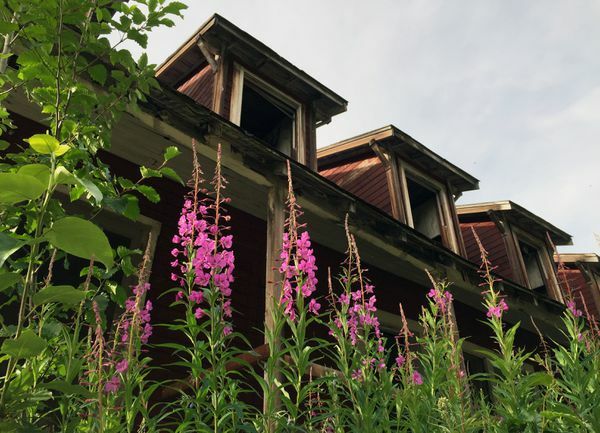 McCarthy-Kennicott Historical Museum: While it could be argued that both towns are museums in and of themselves, the actual museum, located in what was once a railway depot, does a good job of showing the history from the town's inception in the late 1800s to today. You can see old photographs, artifacts, a miniature model of historic McCarthy and a diorama of the Bonanza Mine. 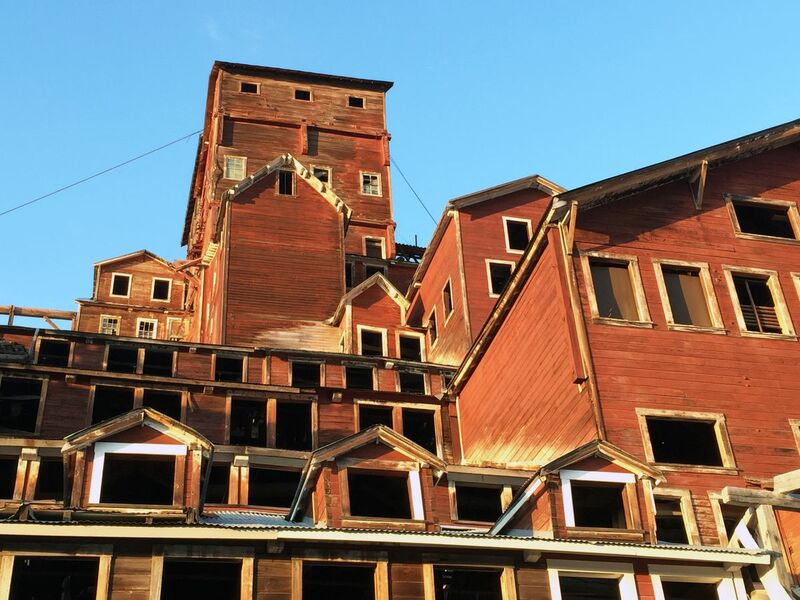 Kennecott Visitor Center: What was once a general store and post office is open to the public, after serving in as the National Park Service visitor center in recent years. The National Park Service visitor center has since moved and is now housed at the entrance to Kennicott. There's oodles of information about the history of the mines and the people that once worked there, as well as NPS-led talks on local history and ecology. Root Glacier Trail: Past all the wagon-red buildings of the mining camp on the far end of town is the start of the Root Glacier Trail. It's an easy 4-mile round trip jaunt out to one of Alaska's most accessible glaciers. Be sure to bring suitable footwear if you intend on traversing the ice — crampons are recommended. Guided wilderness adventures: Companies like Kennicott Wilderness Guides and St. Elias Alpine Guides offer hiking, ice climbing, packrafting and multi-day trips through the spruce forests, alpine tundra, glacier fields, and canyons of the park.